Over the last three weeks we have again been running public consultation sessions on our estate Masterplan for the Canterbury campus. Our final event took place last Thursday in Darwin Conference Centre last Thursday and 130 members of staff, students and members of the local community attended. This follows similar events in Canterbury’s Westgate Hall, Tyler Hill Memorial Hall and Blean Village Hall. 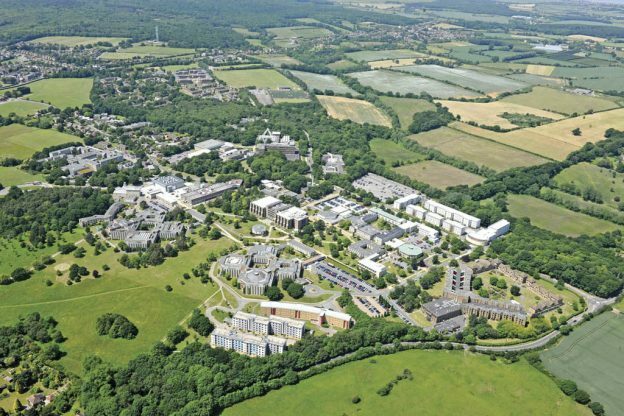 The Masterplan is a requirement of Canterbury City Council’s Local Plan and is a vision for the evolution of the campus, not a set of planning applications. It provides a direction for decisions about the future of the campus and a framework against which future planning applications will be assessed. A number of projects have been mentioned specifically, however, as being in our short- or medium-term plans. In the short-term (2018-2021) these include academic and administrative facilities including a new building for the Kent and Medway Medical School and a Life Sciences building. Medium-term priorities (2022-2031) include new student service and Kent Union buildings, new teaching and academic buildings, additional leisure and sports facilities including a swimming pool and the possible development of a conference centre and hotel all of which are subject to funding. The inclusion of a 150-bed hotel and conference centre our Canterbury campus reflects an aim that is supported by an external consultancy review of its potential market and is a response to the lack of hotel and conferencing facilities in the area. It would provide us with an opportunity to host academic conferences and other University events all year round as well as increasing our vacation time capacity. It is also based on our need to diversify our future income due to an unprecedented level of challenges facing the university sector. A hotel and conferencing option – one that has already been taken up by other universities – would help us meet the economic challenges we face by generating essential revenue that would be reinvested in education and research, and our students and staff. There is still time to send us your thoughts on the Masterplan – the deadline for inclusion in the Consultation Statement is this Friday 26 October 2018 – you can read more at www.kent.ac.uk/masterplan and email masterplan@kent.ac.uk. This entry was posted in Campus online, Medway Student, Student Guide on 24 October 2018 by Miles Banbery.